Lady Margaret Croydon Marks, née Maynard ( ). Sitter: Lady Margaret Croydon Marks, n�e Maynard ( ). Biog: Elder daughter of Thomas J. Maynard, of Bath; m. (1881) Sir George Croydon Marks, Kt. (cr. 1911). 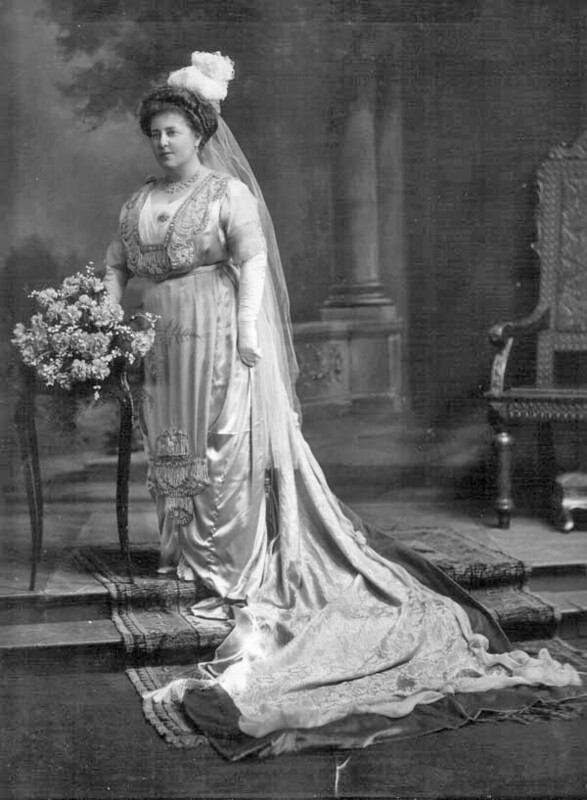 Occasion: The Court, 6 March 1914: presented by the Mistress of the Robe, the Duchess of Devonshire. Furniture & Props: Painted backdrop; Jacobean style armchair; Louis XV style giltwood footstool; side-table. Biog: Burke's Peerage, 1915 ed., see: Knightage section. Occasion: The Times, 7 March 1914, p 4c & 9 March 1914, p 4b.